After the historic win by the Cavs earlier this year, our fair city finds itself on the verge of another championship! Cleveland Cinemas is thrilled that the Cleveland Indians will be going for their first World Series in nearly 70 years. To celebrate, Cleveland Cinemas is partnering with Melt Bar & Grilled to show MAJOR LEAGUE on Monday, October 24th at 7:30 PM at the following locations: Capitol Theatre (1390 W. 65th St., Cleveland), Cedar Lee Theatre (2163 Lee Rd., Cleveland Hts.) and Chagrin Cinemas (8200 E. Washington St., Chagrin Falls). MAJOR LEAGUE is the hit 1989 comedy showcasing the Cleveland Indians whose new owner (Margaret Whitton) is setting them up for failure with the plan to move them to another city. Lead by veteran player, Jake Taylor (Tom Berenger) and a new rookie pitcher, Ricky Vaughn (Charlie Sheen), this would-be losing team shows them just what their made of and starts winning just to spite her. Attendees coming to MAJOR LEAGUE will also receive a $1 off Melt coupon and will have a chance to win gift cards and movie passes as part of the special door prize drawings. Cleveland Cinemas will also be rewarding its patrons who show their team pride when they come to see any movie playing at any of its theaters. Customers wearing Indians gear who purchase any size popcorn, will receive a free fountain drink of equal size. This offer will be valid at all Cleveland Cinemas' theater locations starting October 21st through the end of the World Series. 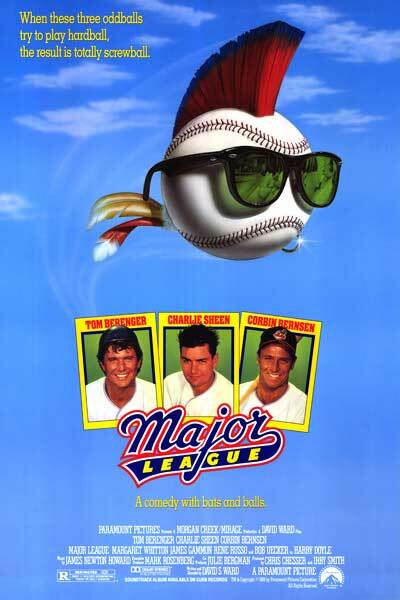 Tickets to MAJOR LEAGUE are just $1 and can be purchased at the theatre box office or online at clevelandcinemas.com. Additional titles and show times are also available on our website.